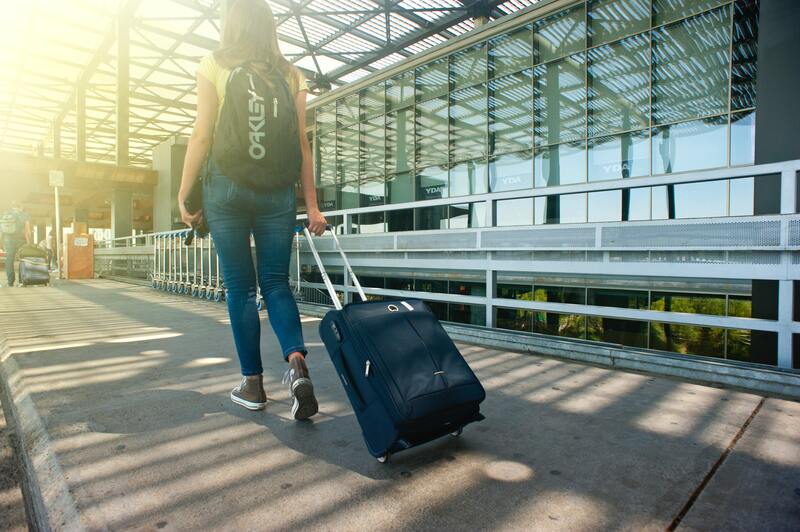 Whether it’s a backpack, a large suitcase, or a small carry-on, high-quality luggage is of paramount importance to keep all your valuables safe and protected. That’s why tips to buy luggage are so essential. As soon as you drop your luggage at the airport, it’s all in the hands of fate — and the airline. Will your suitcase resist the test of the trip? How safe will your jewelry be? Will your Peruvian vase stay in one piece? 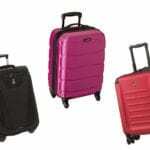 It all depends on many factors, but the quality of your luggage is the most critical element. Not all luggage is created equal, and we want you to get your hands on the best there is. 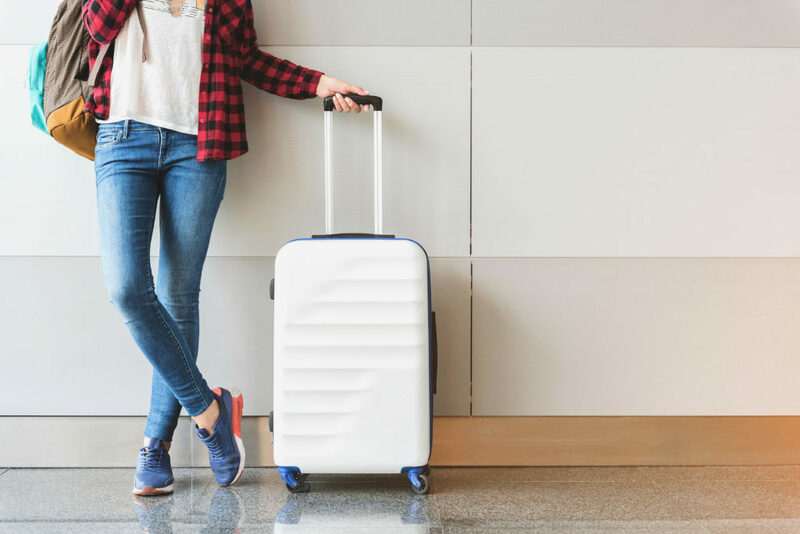 To save you from any unfortunate surprises at the conveyor belt, we rounded up some tips to buy luggage that will make your travel adventures as hassle-free as possible. No more travel tragedies and hours spent trying to file a consumer complaint, make your trip a winning experience from start to finish. 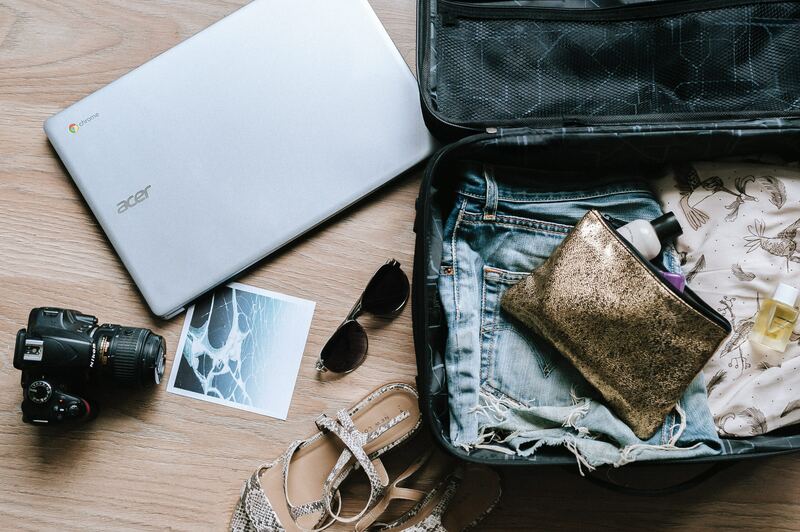 Whether you’re preparing for a major trip through Europe or starting your digital nomad lifestyle in Morocco, follow these 5 tips to buy luggage that won’t let you down. 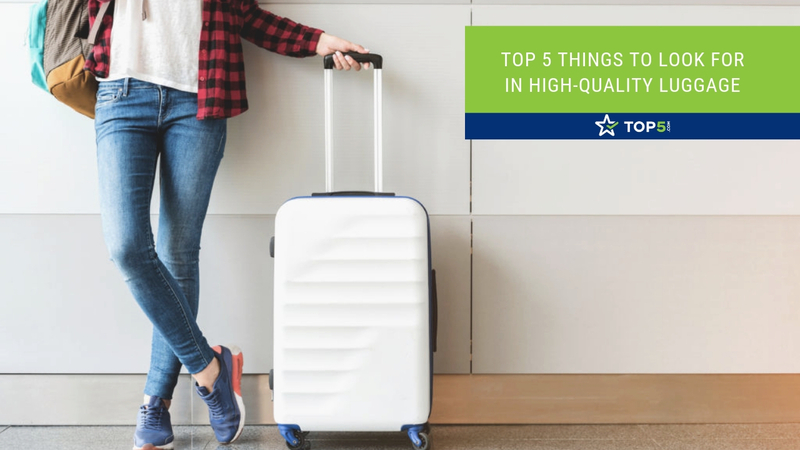 The ideal piece of high-quality luggage might be different from one person to another, depending on their travel habits and needs, but one thing is sure: they all need to have these specs nailed down. Use these tips to buy luggage with good specs. Every airline has size limits for luggage, either for checked baggage or carry-ons, so do your homework before taking a decision. Take a measuring tape with you when shopping and double-check by yourself. Don’t get fooled by “official carry-on” tags. According to general U.S. airline standards, you shouldn’t exceed 45 inches (length plus width plus height) in your carry-on bags and 62 inches (length plus width plus height) for your checked bags. Generally, traditional luggage comes in two options: hard-sided and soft. Hard-sided bags are often made of polypropylene, polycarbonate, or aluminum. Soft bags are made of nylon, microfiber, leather, polyester, or PVC. The material you choose also depends on your travel needs. Are you often traveling for business? Having luggage strong enough to protect your suits, laptop, and electronic devices would be necessary. In this case, molded bags are more suitable. (If you prefer a business backpack instead, these are our favorites). Are you planning on bringing souvenirs from your trip? A soft suitcase, carry-on, or backpack will stretch slightly, allowing for more room to pack your belongings. It will also squeeze more easily in the overhead bins. Here are two things you don’t want happening: paying an extra fee at the airport for exceeding your weight luggage and carrying a super heavy suitcase down the stairs of a metro station at rush hour by yourself. Weigh your luggage while it’s empty before buying it. Even if the product tag shows the weight, try to bring a small luggage scale with you to the store to be sure. Check the airline’s weight limits to make sure you won’t go over the allowed amount. Choose a suitcase that weighs less than 5lb (2kg). Soft-shell luggage tends to be lighter than its harder counterpart. 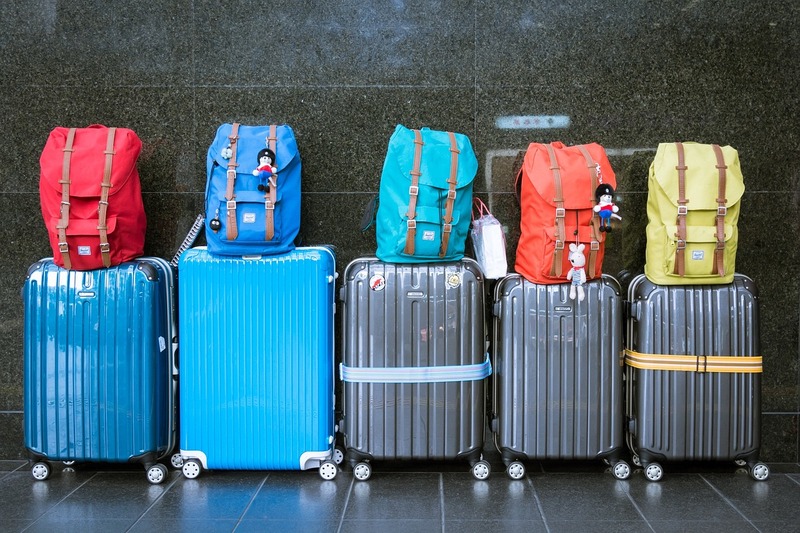 These tips to buy luggage can help you pack lighter and avoid problems. You get what you pay for. 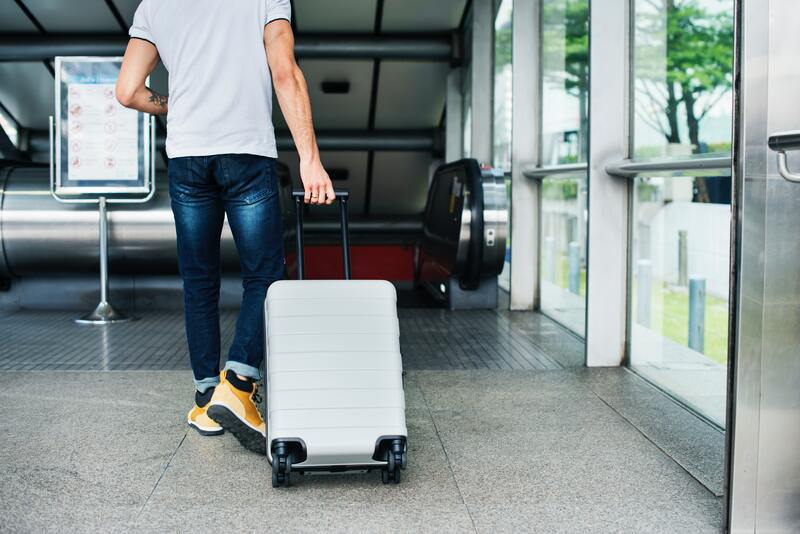 High-quality luggage tends to be pricier than the average suitcase whether you get a carry-on or checked bag, so getting the most of your investment should be your priority. To make sure your new travel best friend will support you through thick and thin, here are the details to keep in mind. Compartments will help you organize your bag. Suitcases made of soft materials have, in general, more compartments. If your high-quality luggage doesn’t have enough compartments, consider adding packing cubes to your shopping list. The devil is in the details, and the details you want to look for in your high-quality luggage are zippers and stitches. Zippers come in two types: coil and chains. Chains are stronger than coil zippers because they are made of metal. They are also harder to break into. The zippers shouldn’t resist when you zip them close or open, but they should still stay in place and not move on their own. If your luggage has other hardware (locks and clamps for example), check that those work smoothly too. The best pieces of luggage also have double or reinforced stitching. You’re looking for neat, clean, and uniform stitches. You will want to have an expandable and solid handle that can carry the weight of the suitcase or the carry-on. When you pull the handle and move your bag, the handle shouldn’t rattle or wiggle. Choose one that retracts completely inside the bag and one that has a protective lock, commonly called telescoping handles. No one wants to be smacked in the face when lifting their luggage. Anyone who ran late in an airport to catch their early plane knows the blessing of having wheels that turn smoothly. Choose wheels that twist 360 degrees and feel sturdy. You will be bumping your bag into many corners and dragging it over unpaved roads. When shopping, jiggle the wheels gently to check that they are firmly attached. You can choose between two or four wheels. Two-wheeled luggage tends to be lighter but not as well-balanced as the four-wheeled one. On the other hand, two-wheelers have recessed wheels, protecting them from snapping off, as opposed to four-wheelers. If you are buying the latter, make sure the wheels are attached with screws instead of rivets. We recommend looking at carry-on backpacks with wheels for something versatile, perfect for those who don’t want to check a bag. One of the tips to buy luggage that is most overlooked is the choice of the company. Here are tips to buy luggage from a trustworthy company. Responsive customer service will make everything easier. They will do their best to help you if one of their high-quality luggage is faulty. Nothing is worse than shelling out big bucks on a product, having it break down at the first use, and receiving zero feedback from customer service when reaching out to them. Check to see if you can contact them through online chat, email, or phone. Look for a “Contact Us” window on the website. See the company’s answers to questions on its Amazon page. Visit the social media pages of the brand and check if they interact with users. Ask about the return policy of the company before buying so you know what to expect. Also, don’t wait until the week of your trip to order your high-quality luggage. Do it well in advance so that if it doesn’t fit your expectations, you can return it and find another option. Established brands forged a name for themselves over a reason: they knew how to satisfy their customers. With many years of experience under their belt, they have trustworthy suppliers and well-oiled processes. This means that their high-quality luggage has fewer chances of failing their owners. It also means that if you have a question about their quality, you will find more information available and more opportunities to get customer feedback. Some companies offer a warranty for their products. This means that they can repair it, replace it, or reimburse it if something happens to it during the time limit they set. Discuss this aspect thoroughly with your seller. Ask them about the clauses and get an official warranty in writing. No matter how elaborate the description of the product is or how tempting the pictures are, nothing beats word of mouth. Here is how to do your homework and get the help of internet strangers. This can take some time, but it is worth it to check. Head for the Amazon page of the brand and read the reviews. It might not all be a 100% satisfaction rate, but it’ll give you an idea of what to expect. One negative review in a hundred is not problematic, but one in every ten reviews could signify a problem. Customers who upload their pictures on the internet are real heroes. Read review articles to discover a detailed break-down of the high-quality luggage you want to order. Reviews usually list positive and negative specs of the suitcase or backpack you’re targeting. These reviews will help you decide if a piece of luggage is the right option for you. High-quality luggage is an investment. However, you still want to be smart about your purchase. After all, every buck you save can go towards making your next trip a little bit more extra! Use these tips to buy luggage at a good deal. Discount seasons can save you a lot of money if you follow the company’s discount calendars closely. The biggest sales online happen between Thanksgiving and Christmas, especially during Black Friday and Cyber Monday. Sign up to the newsletter of the brand you have your eyes set on to receive their latest news, including discount dates. Some websites offer discounts if you sign up to their newsletter or a discount on your first order. Some also offer discounts if you buy many products at once. Word of caution: always check the shipping fees before buying. Visit or call the store of the brand to ask whether they are running sales or offering discounts on some products. If not, ask if there are any coming soon. The advantage of visiting a third-party website is that you have a plethora of choices — some you didn’t even know about beforehand. Compare all the luggage you find and their prices to find the ones that fit your expectations and have the best price. You took all the precautions necessary to guarantee that your luggage is of the best quality, meets your expectations, and will make your trip a breeze. However, no one can foresee the conditions in which it will be handled. While your carry-on sits safely above your head or next to your seat, your checked luggage could be mishandled or even worse, lost. In those cases, filing a complaint to your airline or the TSA can take a long time. To make sure your valuables are covered, get travel insurance. Verify what is covered before making your choice, and compare the plans available. Finally, to make sure your luggage is well secured and that no one can break into its contents, protect yourself with the best TSA-approved locks in the market. Click next to read about how to find these locks.